Practical output sessions that build on our insights and research to offer on the job solution. Our workshops complete the Wellness Intelligence platform of services by providing a forum for knowledge development, discussion and practical application of insight. Workshop deliverables are designed to support strategy, systems and concept modelling dependent on the workshop type. We create bespoke workshops for organisations who want brand specific material and output that is crafted to solve their own particular needs. The value of culture and leadership in authentic wellbeing delivery. Workshops generally run 10am – 5pm and cost from £350 per head. 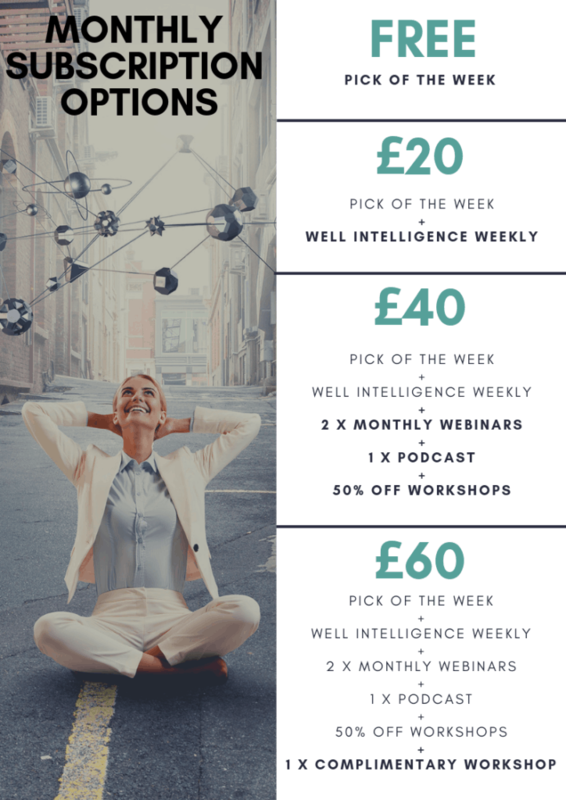 If you're a subscriber to Well Intelligence Weekly you will receive a 50% discount to all workshop places. Fees are inclusive of refreshments but not lunch. There is a gap between the recognition of wellness being ‘everywhere’ and knowing where to begin to make it a valuable part of business. Can you relate to the difference between wellness and wellbeing? Do you know why wellness is booming? Can you identify the biggest wellbeing influencers? Do you know how to harness the trends to business advantage? Could you describe how and why wellness in the workplace matters? If these questions sound familiar then the ‘Wellness 101’ workshop is for you.